Hi, Walter! You know, I was feeling last night that it had been a while since I had drawn or painted… Thank you for the prompt! I’m negotiating with a head cold right now, but I have a few ideas… I may post some older pieces, too! Sending lots of love! Love to see this talent in action, Leslee. This drawing demonstrates the yin yang superbly. Why, thank you, Elena! Let’s see if I can figure out how to retrieve it, lol! Thank you, Chrissie! I zipped by you the other day, in a hurry, but loved what I saw :)I’m on the road some this week, setting the wish to find more time to stop by and visit. Have a wonderful week! One of my favourite symbols. The I Ching is important to me and I’m working up to joining a Tai Chi class. Your rendition here is beautiful. Every artist has his/her unique way of expressing themselves. 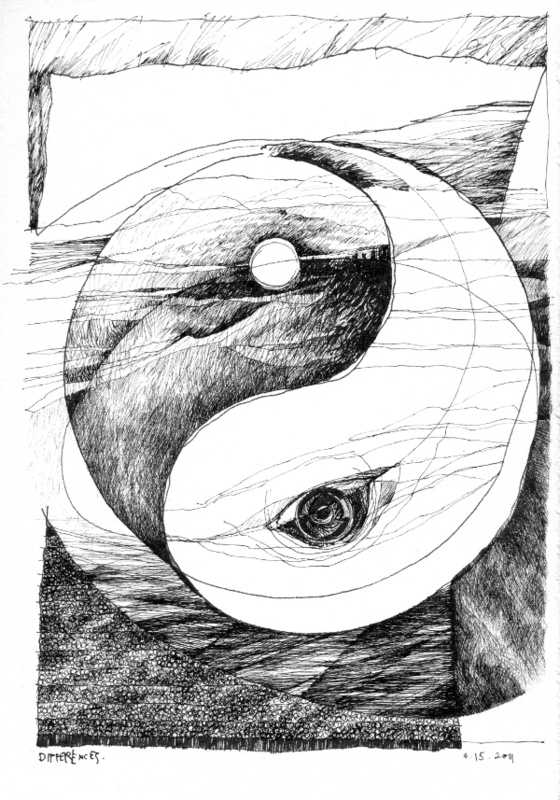 yet another beautiful & expressive representation of Yin/Yang…love your work!